Shaving, tweezing or waxing unwanted body hair is messy. Laser hair removal can be an option you could consider. 90% of people experience a permanent loss of hair after three to five sessions. Small areas take less than a minute, larger areas take about an hour. Shaving, tweezing or waxing unwanted body hair after every two weeks is messy, bothersome and of course, painful. If you just do not want to live anymore knowing all the times you’d have to go through the same, laser hair removal may be an option you could consider. Laser hair removal sure is expensive, but it may surprise you to know that it is also the most commonly done procedure for hair removal in different parts of the world. 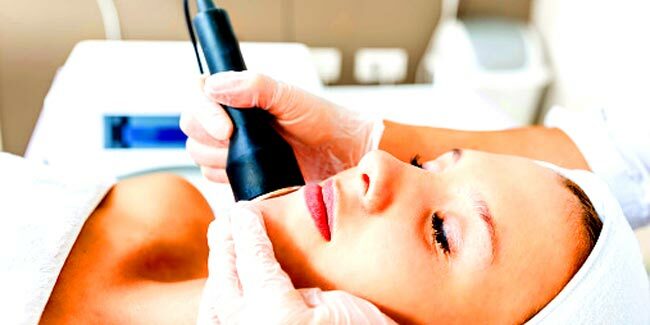 Laser hair removal involves the beaming of concentrated light into the hair follicles, which then get absorbed by light thus, destroying the hair. It takes very little time to permanently remove hair with a laser procedure. Each pulse of the laser takes about a fraction of one second, which helps it to take treat many hairs simultaneously. Approximately, a quarter of an area of hair can be treated each second in laser hair removal. While small areas such as the upper lip take less than a minute, larger areas of the body such as the legs take about an hour. Unlike other forms of treatment for hair removal, laser hair removal can specifically target a particular part of the skin without damaging the skin surrounding the area. It has been estimated that about 90 percent of people experience a permanent loss of hair after three to five sessions. Once you have been through the procedure, for a day or two afterwards, you will realise that the skin on which the procedure was done looks and feels as if it has been sunburned. It may help to use cool compresses and moisturisers. If you got laser hair removal done on your face, try to put makeup to hide any unwanted changes in the colour of the skin unless the skin is blistering. For the next 30 days, hair from the area of the skin that was treated will fall out. Wear sunscreen for these days to ensure that there are no temporary changes to the colour of the treated area as a result of exposure to the sun. Blisters are fairly rare to develop in people who have gone through laser hair removal. In fact, they may in the rarest cases develop in people with a dark complexion. Some other side-effects of laser hair removal include redness, swelling and scarring. Permanent scarring of the treated area of skin or permanent change in colour of the skin is rare.